A low-budget folding bike with cheap components. Stowabike 20” City Compact Folding Bike is among cheap folding bikes available on the market. It is a good alternative for those who favor a folding bike with great portability and functionality but go on a tight budget. Priced at a bit over $100, this bike definitely has certain disadvantages that you might need to consider carefully before making a purchase. However, in general this is still a fairly decent bike under this price range. ​The Shimano 6 speed gears are powerful enough to climb up gentle, low hills. In general, the riding on this bike is quite smooth and steady. The steel V-brakes work efficiently to ensure safety and minimal potential risks on the roads. The bike includes long fenders which keep riders to stay clean while they ride in snowy or rainy weather. It can be put into storage bins during winter months by condo dwellers or carried in storage compartments by frequent travelers. Handlebar and seat are adjustable for different heights. Mudguards are included to keep riders from dirt while riding in rain. A great value for such an affordable amount of money. At 35lbs (15.8kg) it is fairly heavy and might be not so easily to carry effortlessly on public transportation such as bus or subway. A latching system is lacked to keep the parts together when the bike is folded. Handlebars don’t fold down but require a separate tool (included in the package) to take off or collapse. The folded dimension is not too compact. 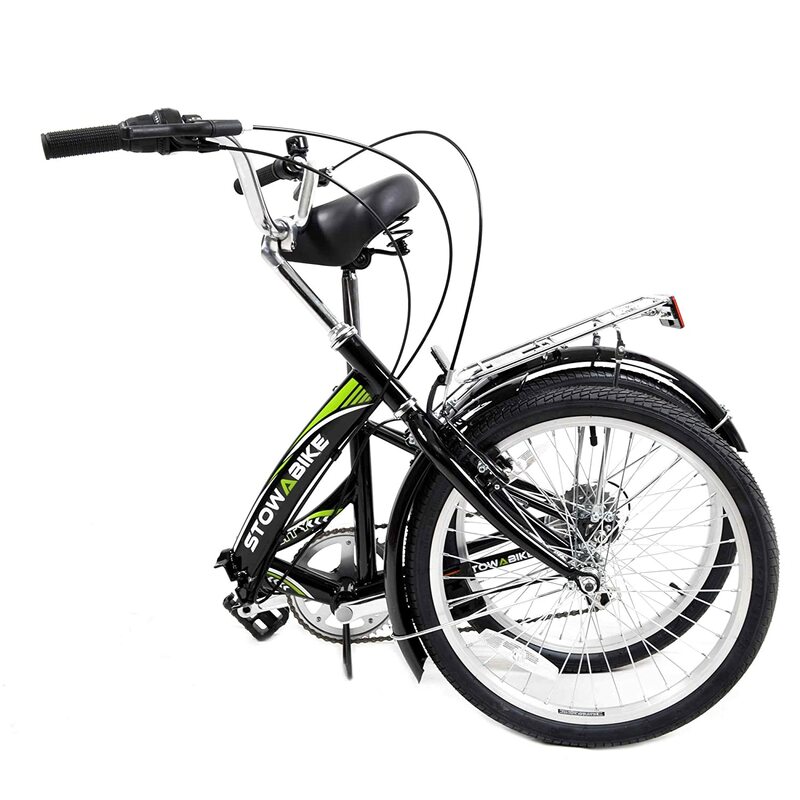 With this price, you cannot expect premium quality from Stowabike 20" City Bike. It is only suitable for easy riding on paved roads.